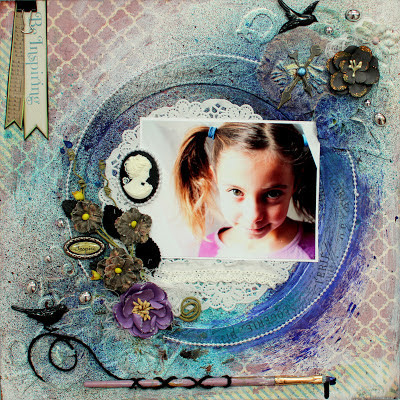 I created a mixed-media LO using the Bo Bunny "C'Est La Vie" collection - lots of gesso and misting going on here. Flowers, clock handles, and even an old paint brush. Enjoy! looks wonderful, love the drip coming off the paintbrush!